On this day (February 20th) in 1915, Allan Loughead is given permission to provide air service during the Panama-Pacific Exhibition. Over the course of the 50 day exhibition, he flies 600 passengers across Panama Bay. The trip takes 10 minutes and costs $10. In addition to being the pioneer of what would become the private charter industry, Loughead would later change his name to Lockheed and found one of the most successful aviation companies in the world. These days, the event that draws the most private jet charter traffic is the Super Bowl. For those fans with the cash to get to the game, booking a private plane is often part of the Super Bowl experience. In past years, private jet charter traffic at airports in the Super Bowl host city has seen almost 6 times the normal traffic come through the airport that weekend. 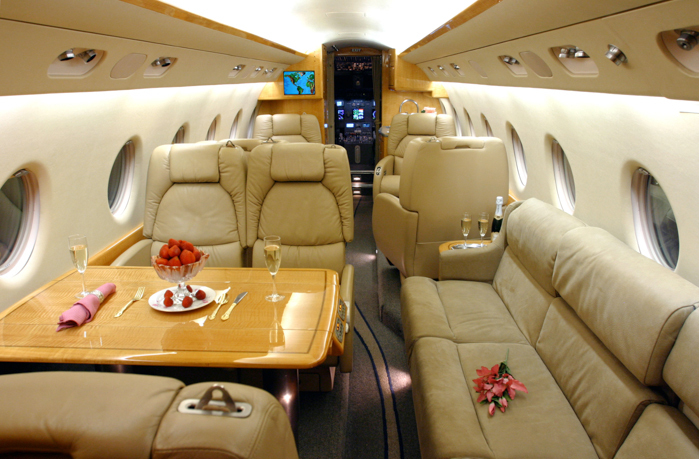 About 15% of those who will travel to see the Super Bowl, will do so by private jet charter flight. It turns out that in addition to being a great experience for super-fans of football, the game also offers an excellent opportunity for senior leaders in the business community to build and strengthen relationships with partners and key clients. Chartering a private jet to get everyone to the game provides the perfect opportunity to network, be seen, and even to get business done. For many of these businesses, the cost of the tickets and the private plane is minor in contrast to the potential for growth and revenue these kinds of relationships can bring. This doesn’t mean there isn’t a game-day festive atmosphere; big business at that level is at least as competitive as football. This is why private jet charter flight companies will go to great lengths to provide a SuperBowl experience for their passengers including typical game-day catering, flight attendants in the favored team’s jerseys, and lots of beer. There is another big event that can mean extra business for private jet charter companies, but the business it generates doesn’t come all on the same weekend. This event is the destination wedding and more and more couples are choosing to charter a private plane to get them and their family members to their wedding location than ever before. With the cost of weddings soaring, many newlyweds-to-be are combining their wedding and honeymoon and bringing those closest to them along for the fun. With a small wedding party and such a special occasion to celebrate, a private charter is the perfect transportation option. The luxurious appointments, exceptional service, and scheduling flexibility offered by private jet charters are the perfect match for brides and grooms traveling to and from their high-end destination wedding. Best of all reasons, there is no chance the wedding dress will be lost with the luggage!